Have your website submitted to hundreds of online directories that have relevant categories for the theme of your website. Directory submissions create one-way backlinks to your website which help not only with your rankings, but with your PageRank making it easy to sell ads. We will research your website and decide on the anchor text, description and categories for your website to maximize the search engine optimization of the links. We have a list of over 1000 online directories that we submit to and are adding directories on a monthly basis. 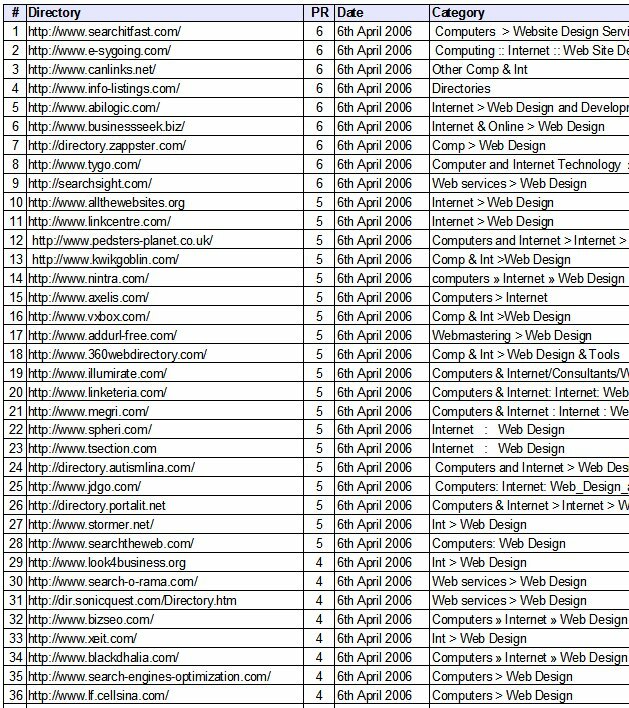 If purchasing 800 links, Your website will never be added to the same directory twice. After your submissions have been made, you will receive a spreadsheet of your submissions. Note: We have no control over which directories accept your listing. All we can do is fill out the forms to have your website submitted. The top of your spreadsheet will include the title, which is used for the anchor text and the categories that we are trying to place your link into. It will also include the email address that we use for verifying the link to some directories and a username and password if you ever want to log into the directory and make changes to your website. All websites that use our SEO services will receive 100 link submissions per month included!